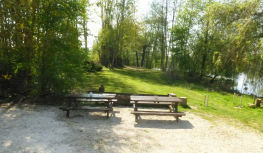 Les Saisons offers a combination of 12 natural and newly built man-made swims. The lake is fenced in and all snags have been removed. The beautiful market town of Vitry-le-François is only a 10 minute drive away. Here visitors can experience a traditional French market town with excellent shops, bars and restaurants.